Lawn Care | Ponzani Landscaping Co.
Ponzani Lawn Care is the area’s only independent lawn care company available in the Wheeling and Saint Clairsville markets that offer exceptional customer service. We are fully licensed & insured, and provide professional service to assist with all your lawn care needs. 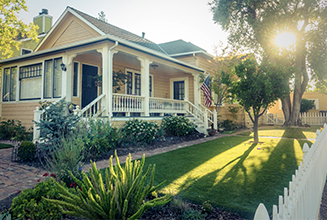 We have over 20 years experience in the lawn care business and our trained and registered service technicians can help make your yard the envy of the neighborhood. Our service will truly make a difference. Having our trained service technicians on your property regularly will enable us to monitor your lawn throughout the season. Unlike the national chains, our trained technicians will be proactive in identifying potential problems and offer recommendations to correct those problems. You work hard so let us help, take some time to enjoy your family and friends while we give you a safe, weed-free beautiful lawn. When you purchase the FULL SEASON DELUXE PACKAGE we will not stop until you are satisfied with your lawn.